Enjoy Coffee & Donut Delivery With Scheduling On-Site Harassment Prevention Training! Harassment Prevention Training is now required for companies with 5 or more employees. Have you scheduled your training yet? SDEA is the leader in Harassment Prevention Training, offering the training in a 1 hour format for employees, a 2 hour format for managers, and as a webinar. 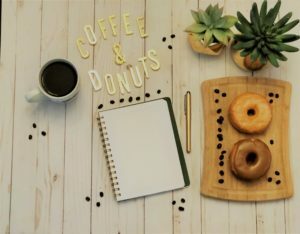 When you schedule on-site Harassment Prevention Training with SDEA now through February 15, you’ll receive a coffee and donut delivery to your department, on us! * To take advantage of this promotion, email us today! To learn more about all of SDEA’s Harassment Prevention Training options, click here. *The promotion applies to on-site Harassment Prevention Training only. The training must be scheduled between now and February 15, 2019. Training can be delivered anytime through June 30, 2019.